A few weekends ago, we packed our bags for Newport, Rhode Island and an overnight at the Castle Hill Inn. Originally constructed as a shingle-style summer home of noted marine biologist Alexander Agassiz in 1874, the house evolved over the years, first becoming Naval officers housing during World War II, then a summer hotel and finally a year-round destination that joined the prestigious Relais & Chateau group in 2008. Like most hotels in this group, the service is top notch and the place full of charm. Even if you aren't a guest here, the hotel's Lawn restaurant should be on your list of places to visit. Because of its position on the peninsula at the entrance of Narragansett Bay, the hotel offers a perfect view of the East Passage and the Atlantic, and the spectacular yachts that sail by. We brought a backgammon board, and parked in a pair of their Adirondack chairs, ordered a couple of rum punches and had a spectacular shot of the sunset, right into the water. 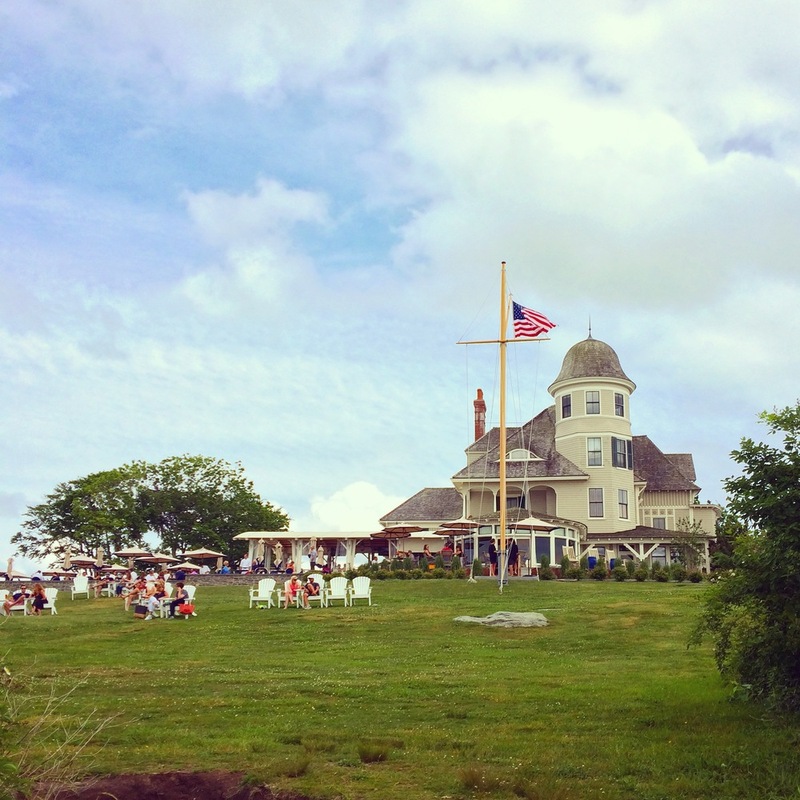 Also worth a trip: The Lawn's Jazz Brunch, which takes place every Sunday between Memorial Day and Columbus Day. We stayed in the hotel's Harbor House rooms, cozy little spaces with small fireplaces and porches overlooking the water. Just in front of the rooms are steps down to Grace Kelly Beach, a rocky little enclave named for the actress who made Castle Hill her home while filming High Society in Newport in 1956. 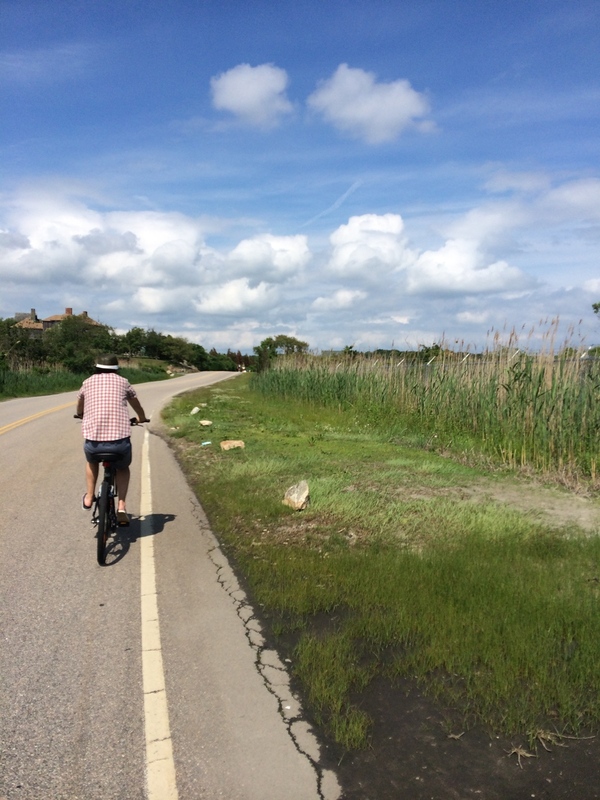 One of the best things we did during the weekend was take advantage of the hotel's free bike rentals and go for a ride along Ocean Drive along the southern coastline of Aquidneck Island. The rolling hills were fairly easy to navigate and, since Newport is known for its Gilded Age mansions, there is plenty in the way of gorgeous real estate to ogle along the way. On our way back to Castle Hill, we stopped for a frozen lemonade along the seawall in Brenton Point State Park, easy to find from a distance as the excellent breeze coming off the water make it a popular spot for kite flying (there's even a kite festival here every July). Before heading back to our room to change for dinner, we also popped by the little lighthouse on Castle Hill's point, built in 1890 by American architect H.H. Richardson. In addition to serving as a beacon for ships navigating Narragansett Bay, the lighthouse has also acted as the starting and finish line for many of Newport’s famous yacht races. The next day we headed for The Breakers, one the Vanderbilt Family's summer retreats and probably the grandest of Newport's mansions. As we toured the rooms bedecked with tapestries, marble and frescos, listening to tales of the Gilded Age's high society I kept thinking that this home and the family who inhabited it are basically the American version of the Crawleys from Downtown Abbey. Funnily enough, they used to refer to these homes as "cottages" (hardly!). I'd love to return during Newport's Music Festival, when classical pieces are performed in the halls and on the lawns of these great homes.